3. 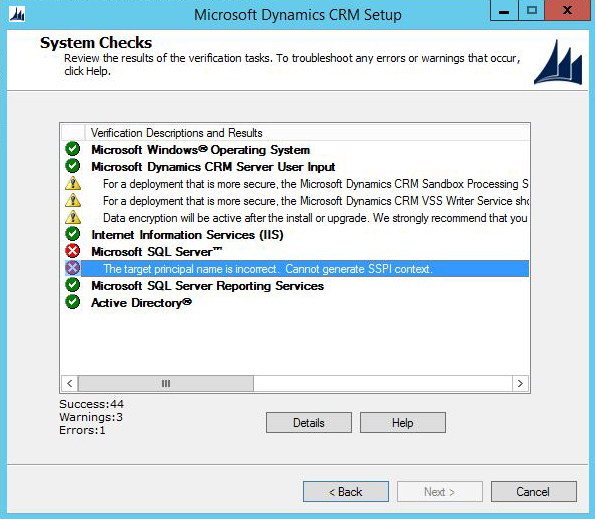 In Dynamics CRM setup click back & next – Problem should be solved – You can now continue the installation. 3. 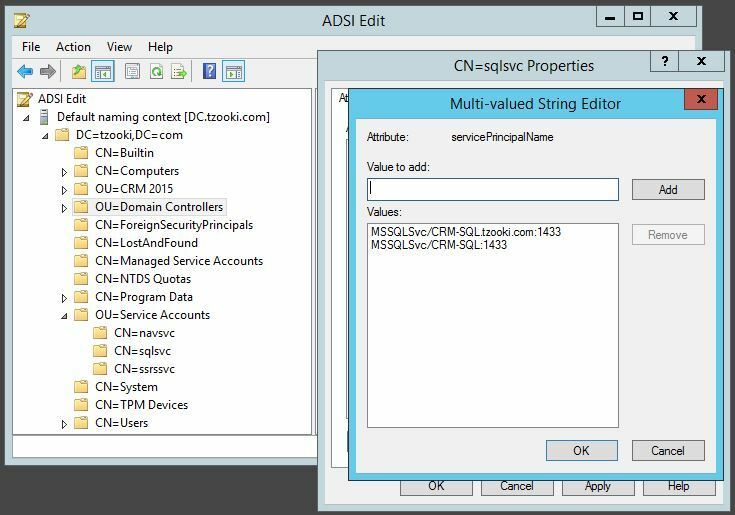 In the Attribute Editor locate ServicePrincipalName and click Edit. 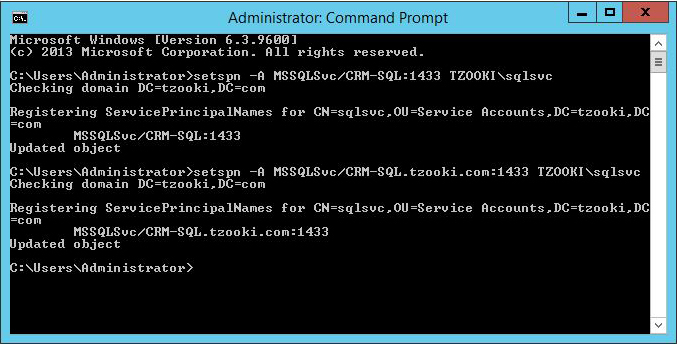 This entry was posted in Dynamics CRM and tagged 2013, 2015, Cannot generate SSPI context, Dynamics CRM, dynamics crm 2013, dynamics crm 2015, Error, Microsoft Dynamics CRM, Service Principal Name, setup, SPN, SQL, The target principle name is incorrect on April 12, 2015 by tzooki.